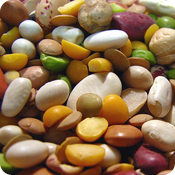 Dry beans: Canned beans are certainly convenient when you’re time pressed, but dry beans are a more economical choice. Soak them the night before and plan several hours of simmering time on the stove. Rice: Rice and beans are a staple food around the world. 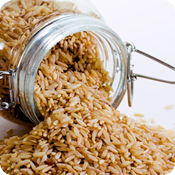 Switch your family to brown rice and you’ve upped the nutrient and fiber content over plain white rice. Even discount stores are stocking exotic rices, including brown, basmati and jasmine. 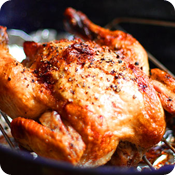 Whole chicken: The boneless, skinless chicken breast has become ubiquitous at most supermarkets, many of which no longer employ meat cutters on the premises. But if you buy a whole chicken and cut it up yourself, you’ll not only save money, but you’ll also get a more chicken-y flavor. Throw the carcass in a soup pot with diced carrots, celery, onions and parsley and let it simmer on the stove to make homemade soup stock. Greens: Collard greens, beet greens, Swiss chard and kale are among the least expensive vegetables in the produce section, but they provide a big nutritional bang for your buck. 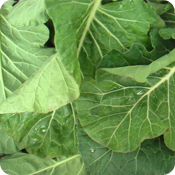 Greens are easy to prepare; wash leaves well to remove any grit, remove tough stems and chop. Steam or sauté and serve, no added fat required. 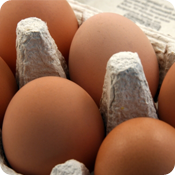 Eggs: In moderation, eggs are a healthy and inexpensive protein choice. 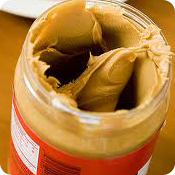 Peanut butter: A kid-friendly favorite, peanut butter is a versatile protein source that spans the gamut from main dishes (such as Thai Peanut Noodles) to desserts. But there’s no need to get fancy. Spread on bread it’s a great way to keep hunger pangs at bay. 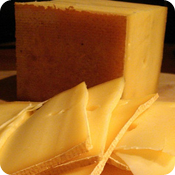 Cheese: Fight the urge to buy pre-shredded cheese. Chunk cheese is usually cheaper and stays fresher longer. Individually wrapped cheese slices are also more expensive per ounce than unsliced.